He was impressed by the book “NIKE freestyle football” at the age of 13, and he started freestyle football. 2 years later, he started performance activities while being the leader of the freestyle football team “Team-Lingo”. 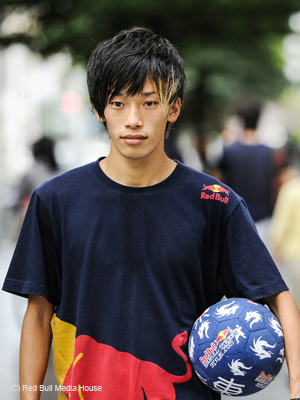 In May 2009, he participated in the tournament Red Bull Street Style Japan, Nagoya, with the elimination round, for the first time. He achieved the 5th place and was qualified for the final round. 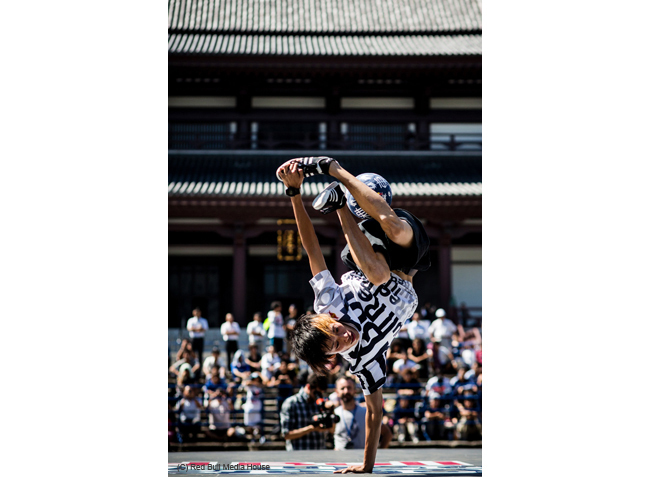 At the Red Bull Street Style Japan Final, he became the youngest winner at the age of 17 and was qualified for the Red Bull Street Style World Final 2010 as a representative of Japan. At the Masters of the Game, Abu Dhabi in March 2011, he got the 6th place. 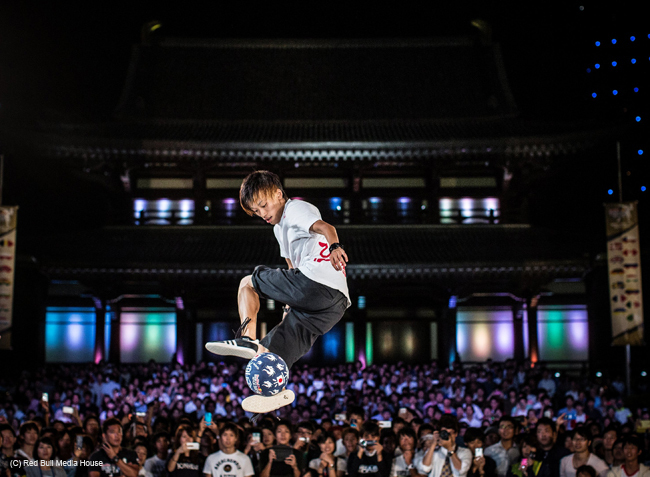 In September, at the World Freestyle Football Championship 2011, he recorded his best 4th place. In addition, in the same day, he became the first Japanese winner at the trick contest showing his high skills. 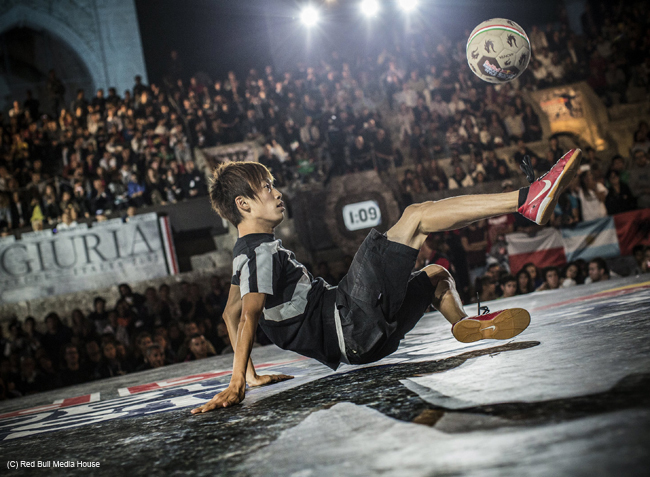 At the 2012 Red Bull Street Style World Final in Italy, he became the first Japanese winner and was noticed. He is also actively performing in Japan, giving lectures as well as organising a clinic.